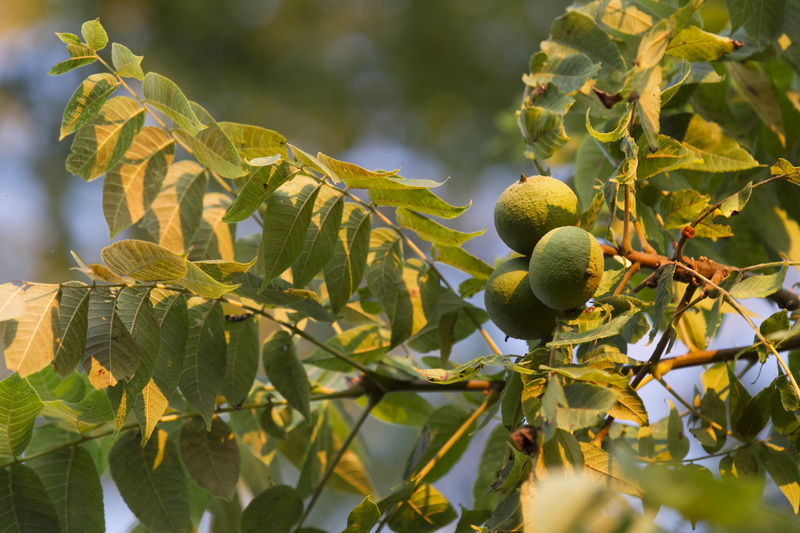 Black walnut is by far the hardiest and adaptable nut tree that can be grown in Nebraska. The species is native to much of the central and eastern US and occurs naturally in river-edge woodlands of eastern Nebraska and follows the Niobrara River as far west as western Cherry County. The tree seems indifferent to climate and soil conditions and once established, can live for many decades with very little care. However, native trees are found in well-drained bottomland and with rich soils. It will tolerate dry, poor soils but the cost is slower growth. The roots of walnut produce an allelopathic chemical called juglone which can inhibit the growth of other plants growing near it. For this reason, vegetable gardens should not be planted near black walnuts. The leaves of walnut are pinnately compound with 6 to 12 pairs of leaflets that exude a very strong ‘walnut’ odor when crushed. These leaves are prone to fungal blotching in wet years and will drop early in very dry years. 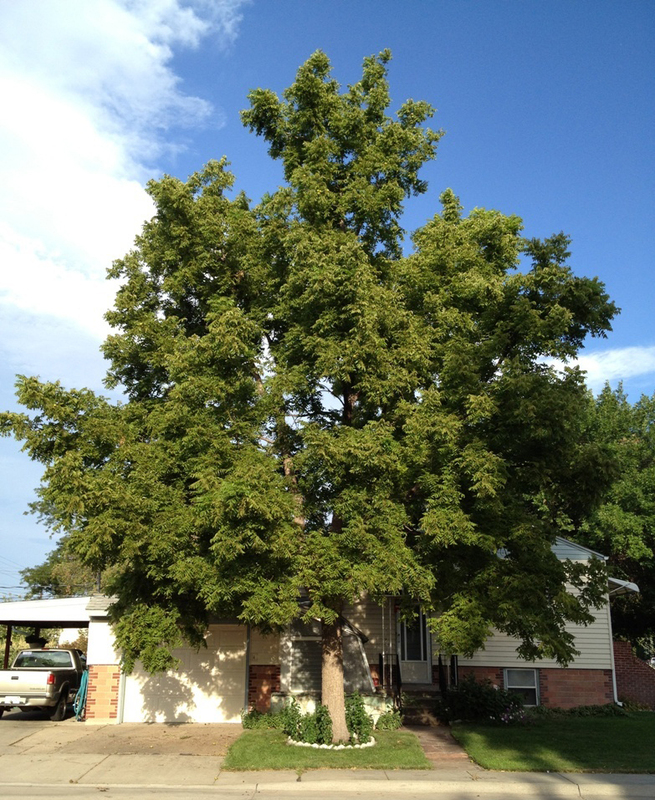 Black walnut has few insect or disease enemies with the exception of fall webworm and walnut caterpillar. Both of these insects can be controlled and are more of a nuisance than a threat. Walnut wood has long been one of the most valuable hardwoods. In the late seventies, a large black walnut tree in northwestern Ohio fetched the tidy sum of $35,000.00. Yep, that’s 35 grand for just one tree.